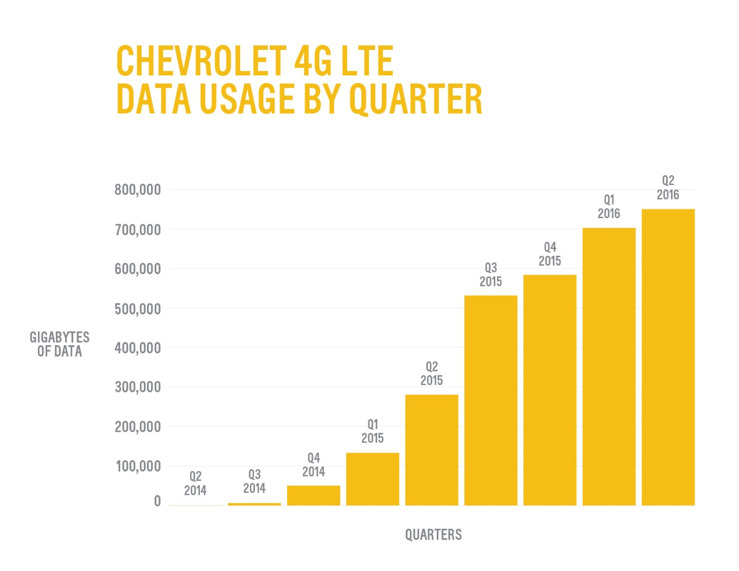 In the first two years of OnStar’s in-vehicle 4G LTE Wi-Fi availability, Chevrolet customers have consumed over 3 million gigabytes of data — the equivalent of streaming over 100 million hours of music. What’s more, Chevy says that in-vehicle data usage is trending upward. Most recently, the brand cut the price of its data plans by half as a result of greater economies of scale enabled by more owners using the service. Meh. That’s only three petabytes.